Does sponsorship “work”? Our team can testify that it can make a tremendous impact in a child’s life. 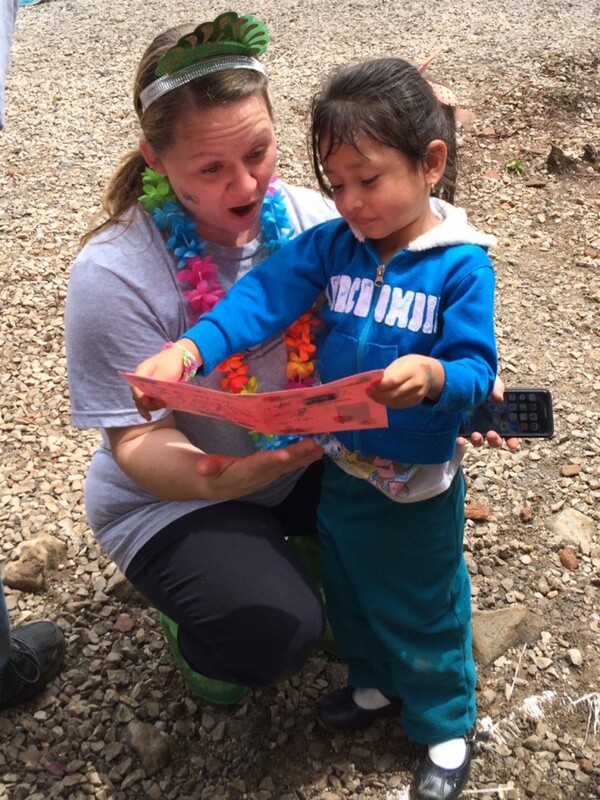 Rut, head of our partner VisionTrust Guatemala, told one of our team members a story about his sponsored child. Carmencita’s attendance had waned, and the mother eventually decided to withdraw her from the Learning Center. Then one day, the child received a letter from her sponsor. A simple letter was the catalyst for the mother to return the child to the Learning Center full-time and open great opportunities to her. Another couple on our team sat by their sponsored child during lunch. Alex smiled ear-to-ear as he pulled his water cup out of his backpack to show his sponsors, which they had sent to him in a care package. To the sponsors, it was a simple gesture. To the student, it was a prized possession, since it was from his sponsor. All the members of our team who sponsor had the opportunity to meet the families of their sponsored children, and most went on home visits. We delivered a basket of food, got to know the families and shared prayer requests with one another. Being here, I am struck what $40 /month brings to the life of these children. This amount per child funds the entire budget at the Learning Center. It provides quality school supplies; nutritious food, solid buildings and skilled, caring staff. It brings joy to these children. They learn about and worship Christ every day at the Learning Center. What an investment!